The next Star Wars movie, Solo: A Star Wars Story, hits theatres in just a few weeks. As you would expect, Disney is going to be pushing the movie with TV spots to hype it up. A new one titled “Team” landed today, and while some of its footage comes from previous trailers, it also has some brand-new footage. It all looks pretty spectacular. “I’m gonna be a pilot; best in the galaxy,” Han Solo (Alden Ehrenreich) says at the start of the trailer. The TV spot is only 30 seconds long, but it makes good use of the time, showing Han battling a Destiny-like alien, Chewbacca doing Chewbacca things, and a lot of action with the Millennium Falcon. The trailer also shows off Lando Calrissian (Donald Glover), Qi’ra (Emilia Clarke), and Tobias Beckett (Woody Harrelson). Take a look at the video below. Solo: A Star Wars Story opens on May 25. It also features Paul Bettany and Phoebe Waller-Bridge. In other news, Ehrenreich recently let slip that his contract covers three appearances as Han, so we could be seeing more of the actor in the iconic role. And in wider Star Wars news, 2015’s The Force Awakens recently lost its box office record to the recently released Avengers: Infinity War. Below you can get a closer look at that alien that looks like it’s from Destiny. 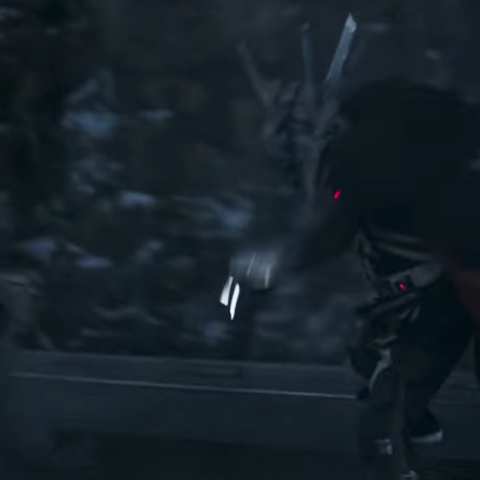 The lead image is from a previous trailer, while the ones embedded below show this alien creature thing battling Han on a fast-moving train through a snowy mountainpass. Tagged Alien, Briefly, It’s, Like, Looks, movie, shows, Solo, Trailer, Wars, ‘Destiny’, ‘Star.